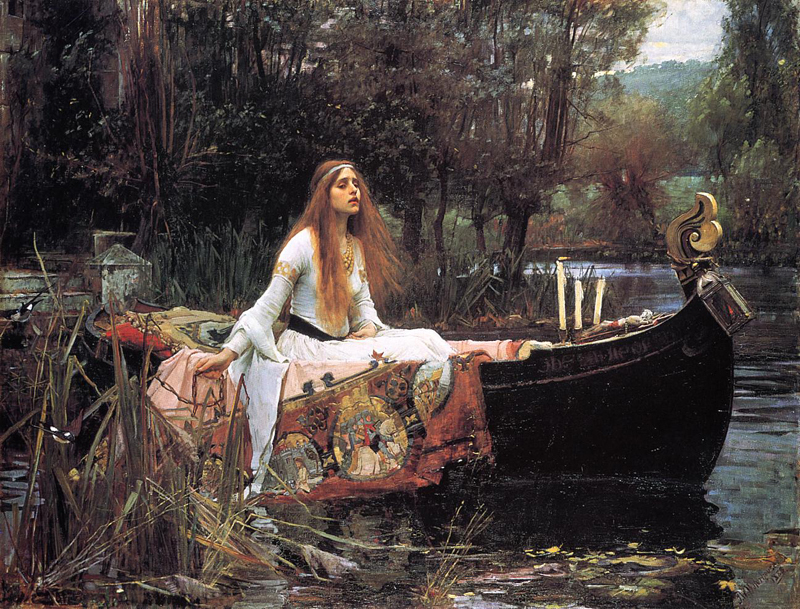 the 19. century is called THE ROMANTIC ERA, in music, literature and visual art. 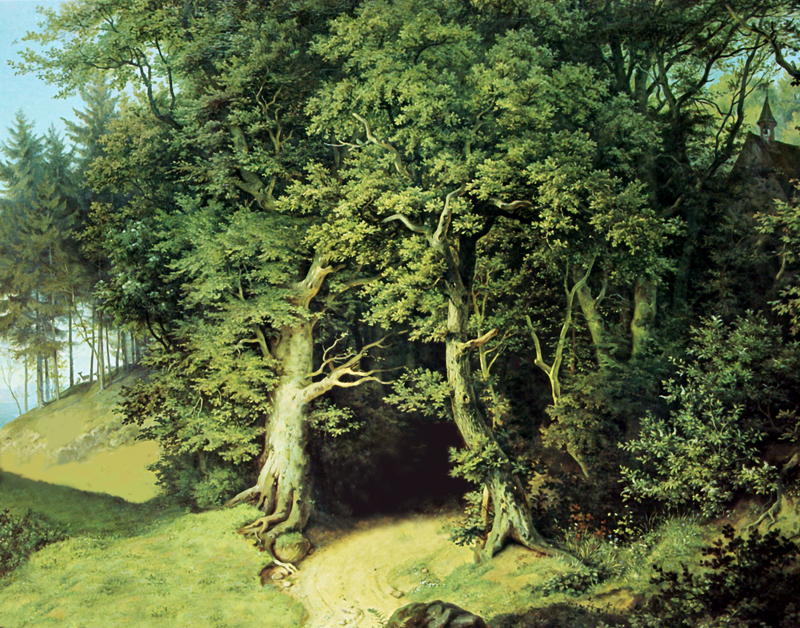 ROMANTICISM started with the french revolution and lasted until about 1900. artists like MOZART, HAYDN, BEETHOVEN, WEBER, BERLIOZ, SCHUBERT, CHOPIN, WAGNER and LISZT in music, GOETHE, HEGEL, SCHILLER, HOELDERLIN, VON EICHENDORFF and BRENTANO in literature, and DELACROIX, FRIEDRICH, BIERSTADT, COLE, WATERHOUSE and RICHTER in visual art are the most famous representatives of that movement. 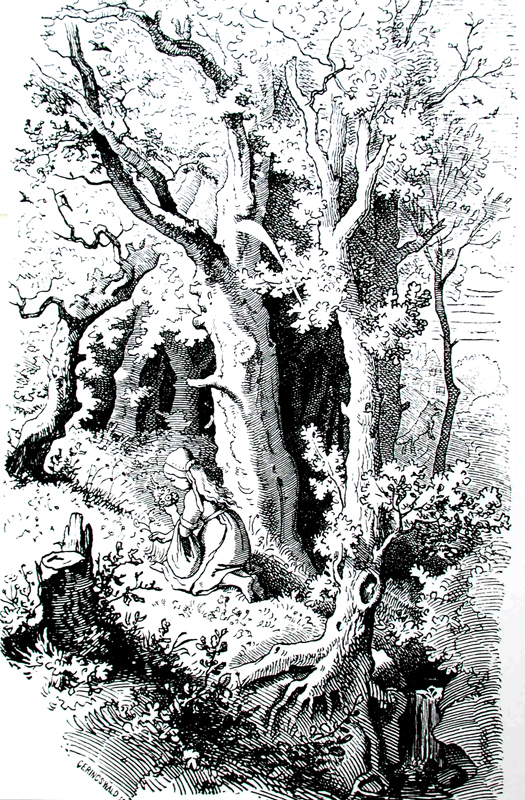 In germany the BROTHERS GRIMM collected popular fairy tales like SNOW WHITE, CINDERELLA and HAENSEL AND GRETEL. 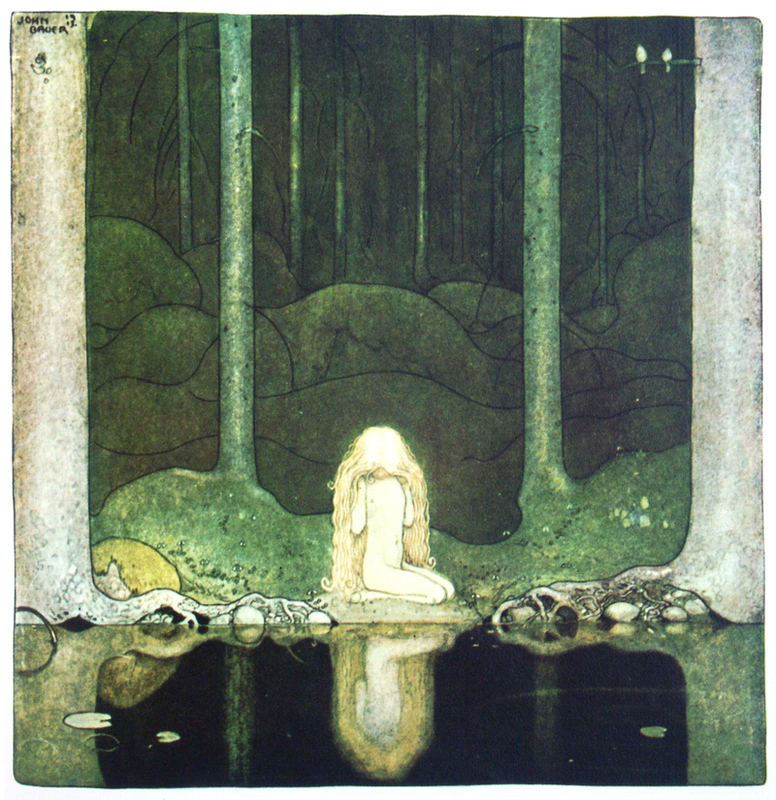 GUSTAF TENGGREN, born 1896 in sweden, was influenced by scandinavian romantic folklore, and painters like JOHN BAUER with his elves and troll world. 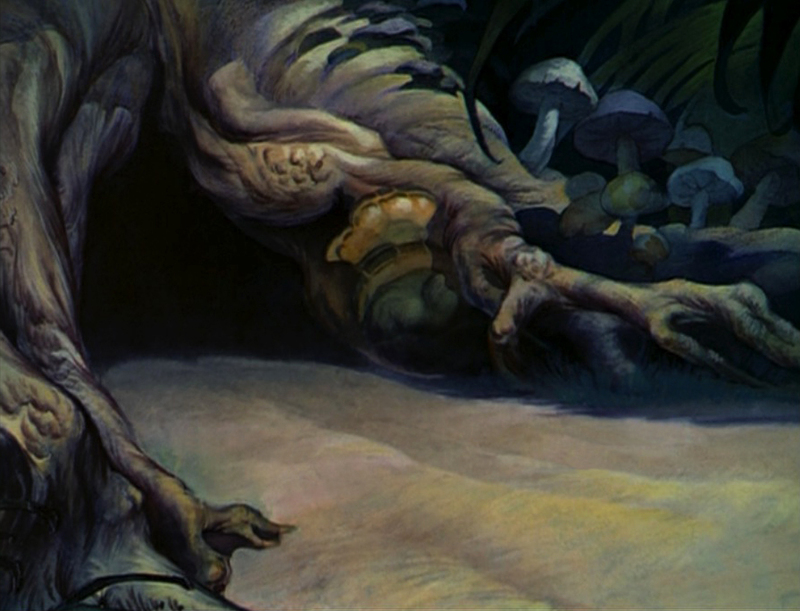 tenggren brought that ‘old world’ look into the DISNEY films he worked on. 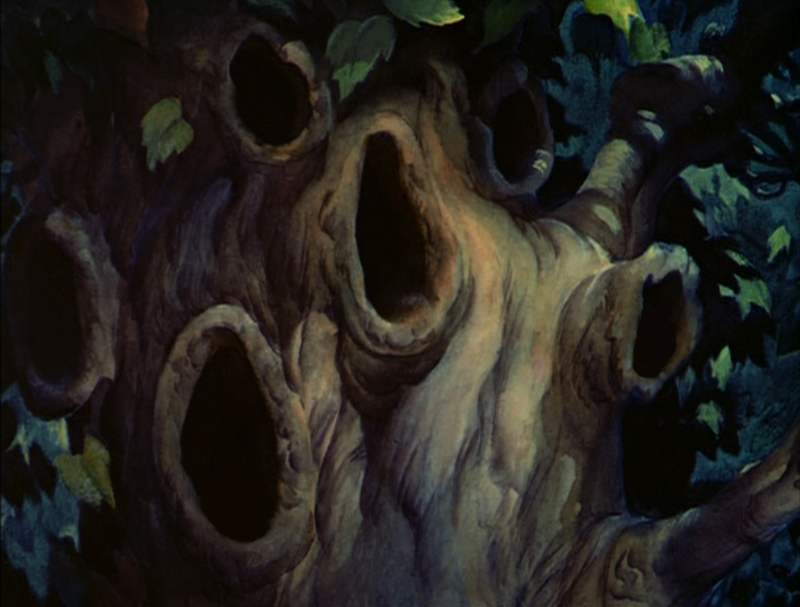 you can see his influence in SNOW WHITE AND THE SEVEN DWARFS and PINOCCHIO, as well as in the SILLY SYMPHONIES – THE UGLY DUCKLING and THE OLD MILL. 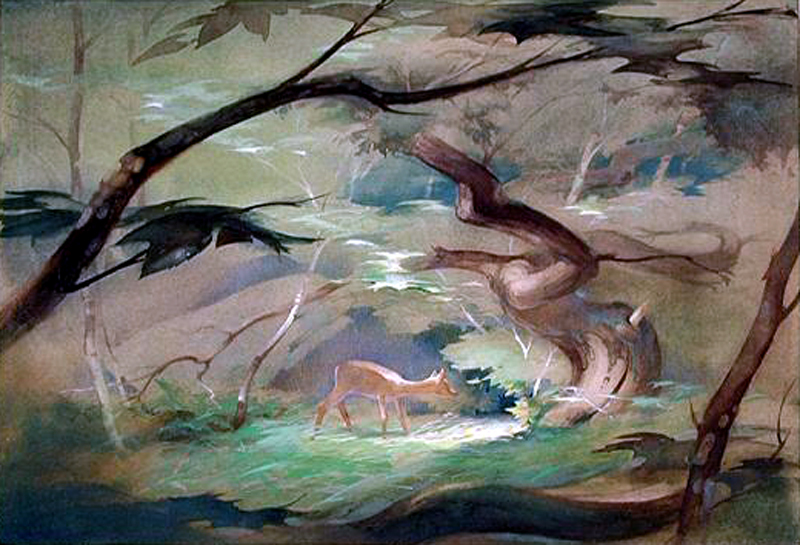 even BAMBI had a tenggren look in the very early stages with a detail rich illustration-style forest. 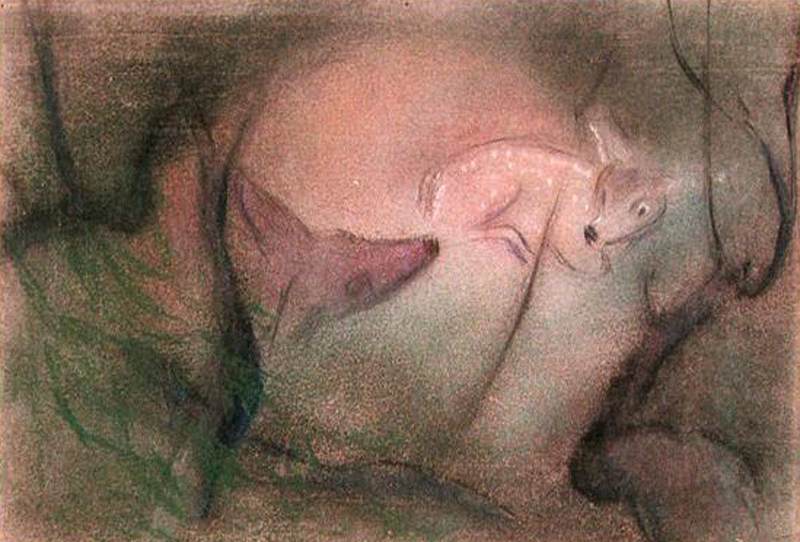 but the disney artists realized early enough that this look wouldn’t work for bambi. 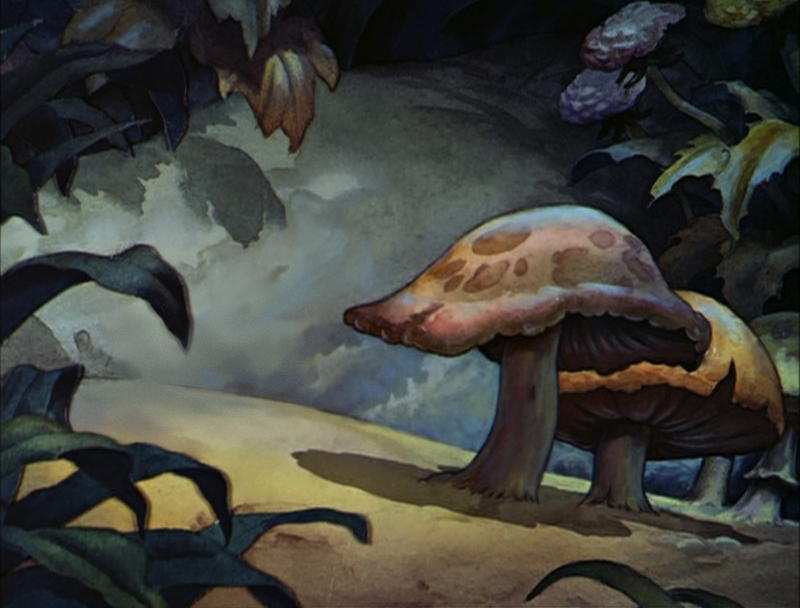 all the detail with foliage, trees and grass was working against a clear readability of the characters. and besides that it would have been a nightmare to finish over 1.000 workintensive backgrounds on time. 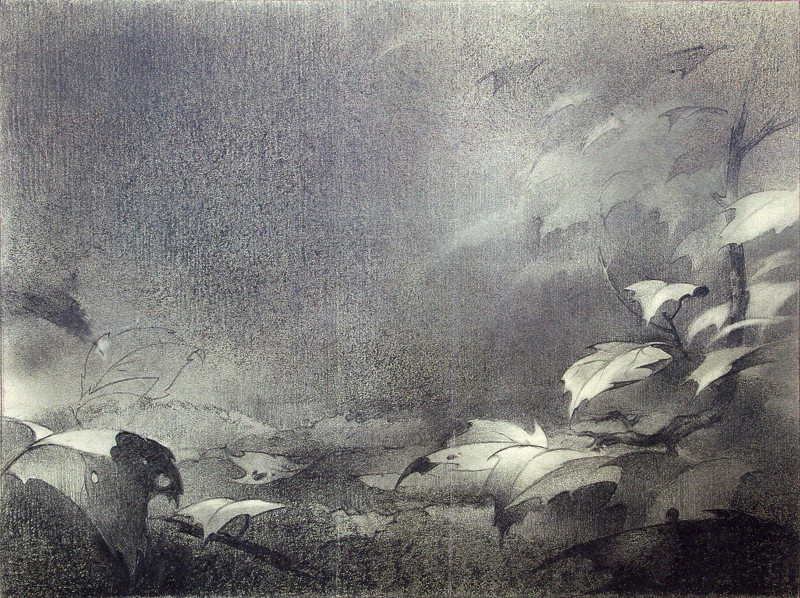 TYRUS WONG and his chinese art influenced soft style was the solution. 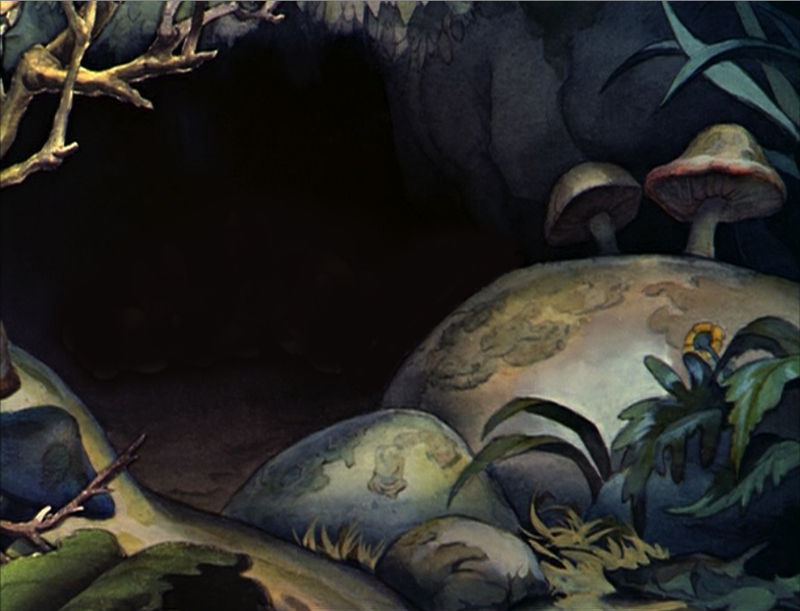 he gave the backgrounds the feeling of a forest, with only a few leaves and grass painted. 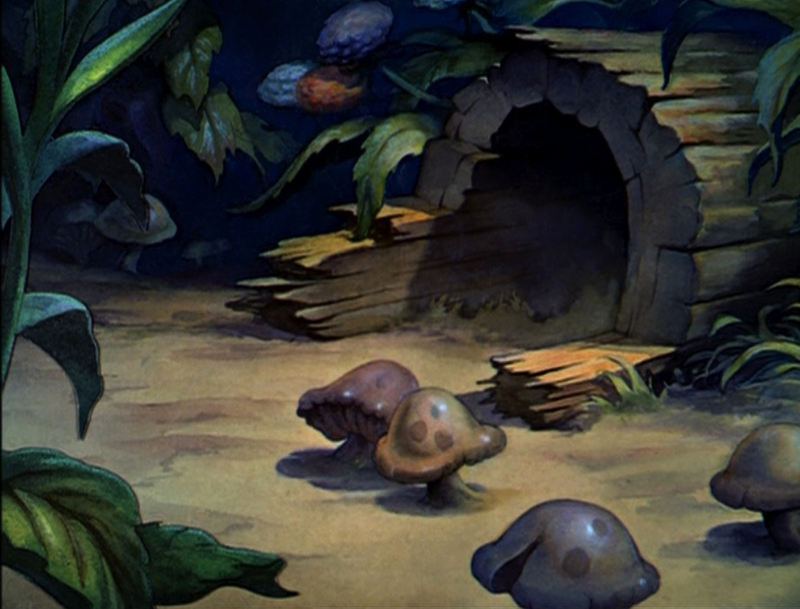 it was impossible to paint his stylized backgrounds in the traditional watercolor technique. 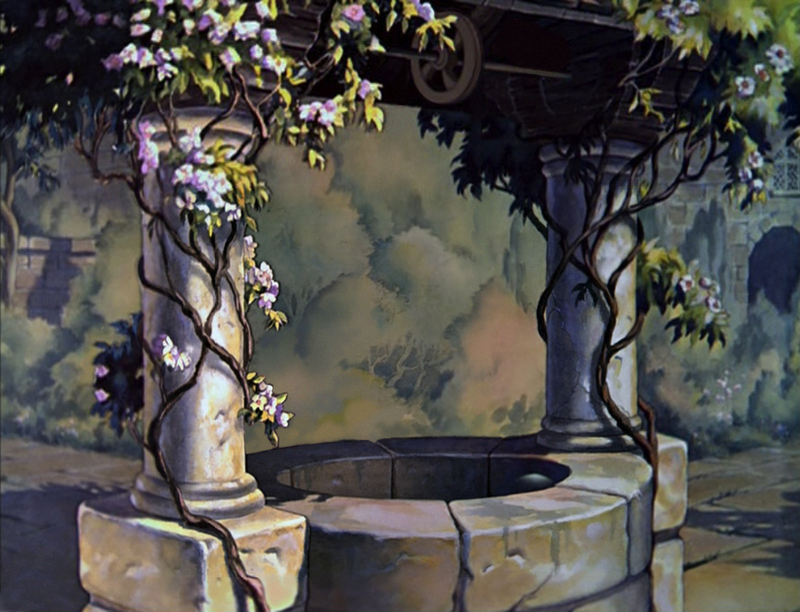 to achieve the softnes the disney artists had to start painting the BG’s in oil, painted direct on different glass levels. 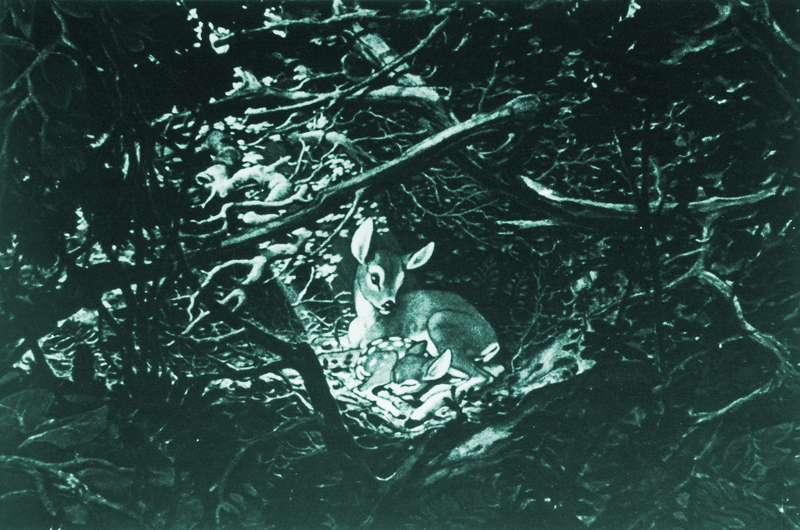 to create depth the separation into different layers for the MULTIPLANE CAMERA made that necessary. 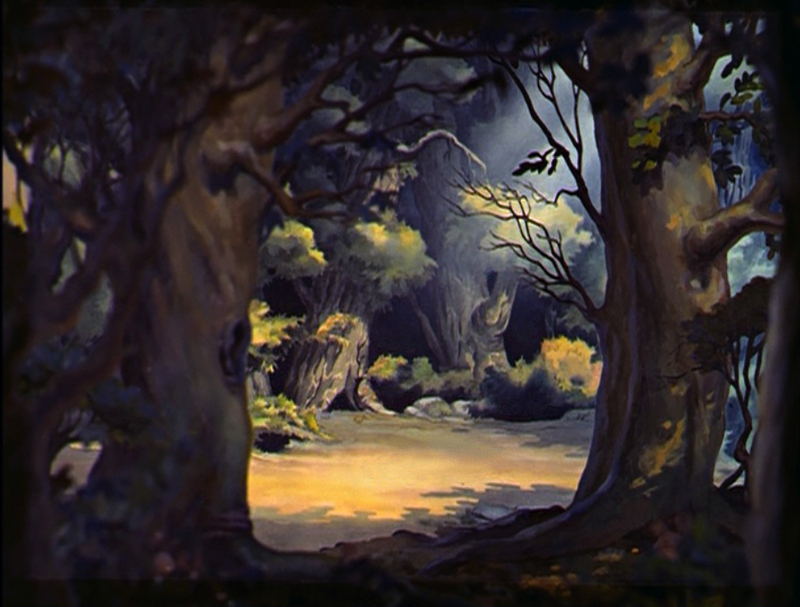 gustaf tenggren and KAY NIELSEN, a danish artist, who had designed parts of FANTASIA, left the studio during the strike in 1941. it is interesting to compare the styles of the later feature films without their influence. 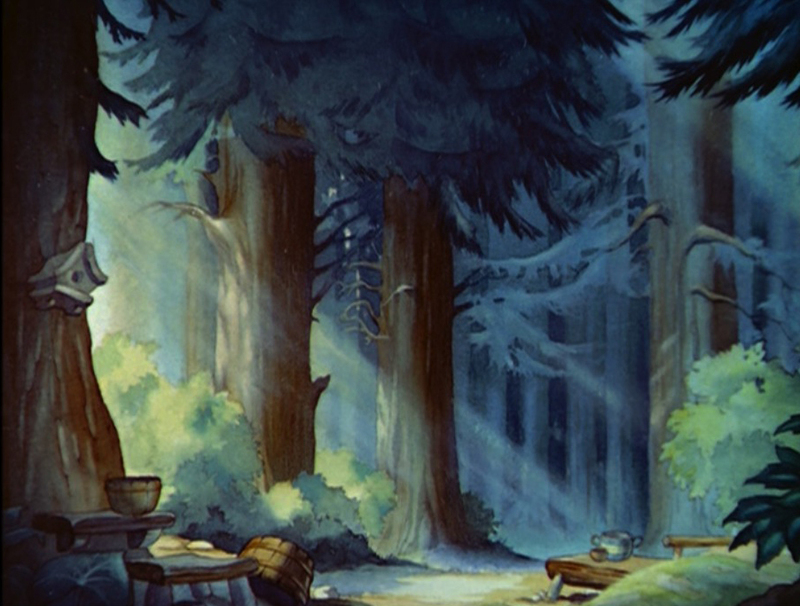 there were other very talented artists like MARY BLAIR, EYVIND EARLE and KEN ANDERSEN who took over and created the worlds of PETER PAN, SLEEPING BEAUTY and 101 DALMATIANS.